Richard A. LaFleur Richard A. LaFleur is Franklin Professor of Classics Emeritus at the University of Georgia. He is the author of numerous textbooks and other publications on Latin language, literature, pedagogy, and teacher-training. He has served as Editor of The Classical Outlook, President of the American Classical League, Head of the University of Georgia’s Department of Classics and is recipient of the American Philological Association's national award for excellence in the teaching of Classics. 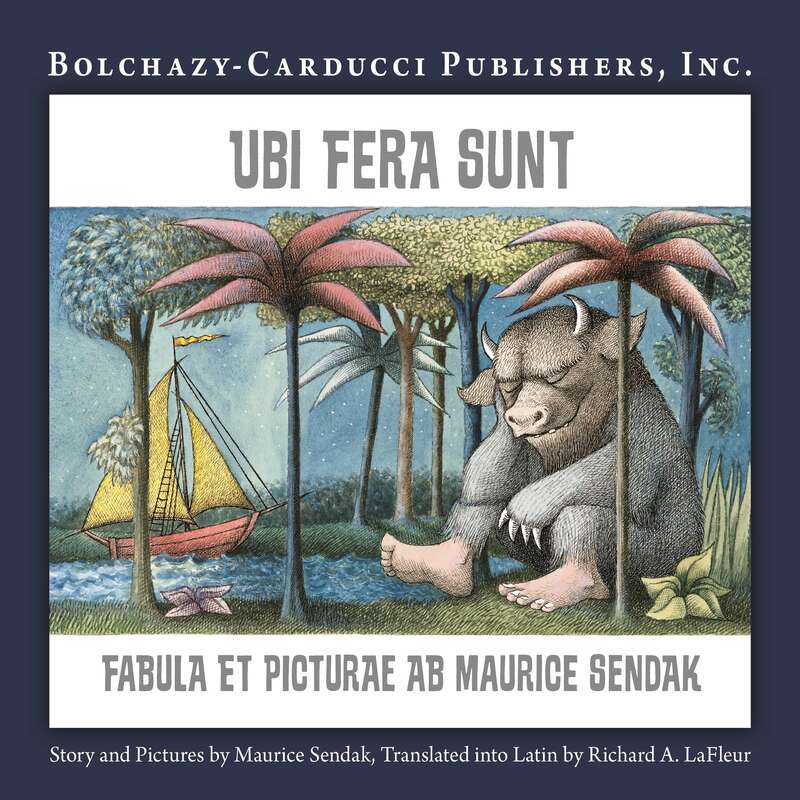 A lively, lovingly wrought Latin version of Maurice Sendak's classic children's book, WHERE THE WILD THINGS ARE, translated by noted Latinist Richard A. LaFleur (aka, Doctor Illa Flora). 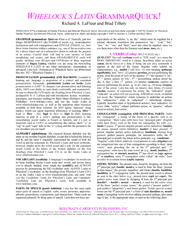 Ecclesiastical, Medieval, and Neo-Latin Sentences offers Sententiae and Loci Immutati complete with notes, vocabulary, and grammar explanations for the 40 chapters of Wheelock’s Latin. 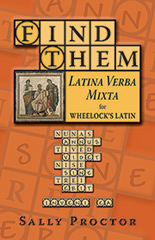 VERBA MIXTA LATINA for Wheelock's Latin is an entertaining way for students to engage with Latin vocabuary. These puzzles can be enjoyed by and benefit Latin students at any level! Grammaticus is the premiere study aid for Wheelock’s Latin, 7th Edition, for Android devices. Principium is the version for iPhone. This all new supplementary reader is designed to accompany the Wheelock's curriculum, but is also suitable for any Latin program. A quick and complete overview of Latin grammar—both forms and usage—on six durably coated cards, five-hole punched for easy insertion into notebooks. Arranged by part of speech, with summaries of all forms and the most common syntax, including case uses and subjunctive clauses. 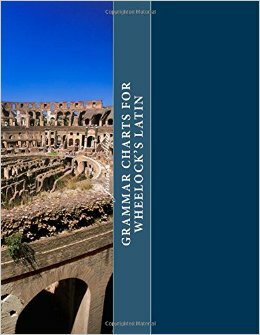 An essential companion to Wheelock's Latin and all introductory texts, and a handy reference guide for intermediate and more advanced students as well. **Cumulative Chapter Vocabulary Lists for Wheelock's Latin--the list for each chapter contains all the words for that chapter as well as for all chapters preceding! from Bolchazy-Carducci. ** Readings from Wheelock's Latin -- an extraordinary 4-CD audio package with recitations and dramatic performances available from Bolchazy-Carducci. Online audio with a general introduction and pronunciation of all 40 chapter vocabularies (Macromedia Flash required). Simply click on the Audio Link in the menu above or go here. 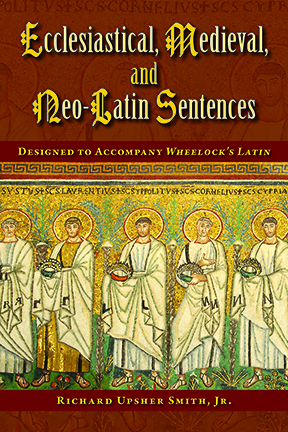 Originally intended as a sequel to Wheelock's Latin, this is the ideal text for any intermediate-level Latin course. Read not only classical authors but also medieval and late Latin writers. Did you know... if you refresh your page you get a new quote from either Amo, Amas, Amat and More or Veni, Vidi, Vici? Don't want to study alone? Consider joining an online study group!